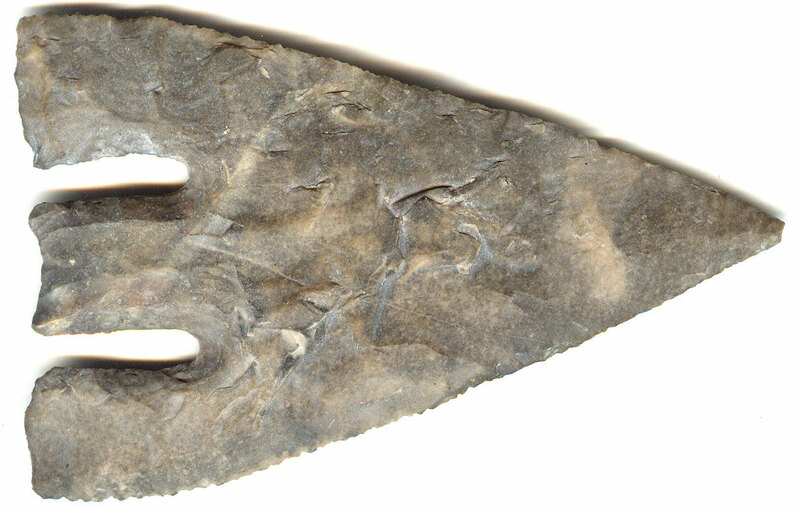 A Large, Thin For The Size, Exceptionally Well Made Andice Point That Exhibits Surface Aging Oxidation And Overall Stone Coloration Patina, Aging In The Deep Basal Notches, Deep Age Stained Hinge Deposits, Aged Caliche Deposits, Correct Slight Blade Edge Flaking, Correct Style Style Base And Overall Shape, Polished Rolled Hinge Deposits, Correct Material And Manufacture For The Area Found. Ex-Charlie Shewey, Roy Hathcock, Tim Dunham And Ryan Keele Collections. This Nice Example Was Dropped By Charlie Shewey And The Tang Snapped And Has Recently Being Restored.